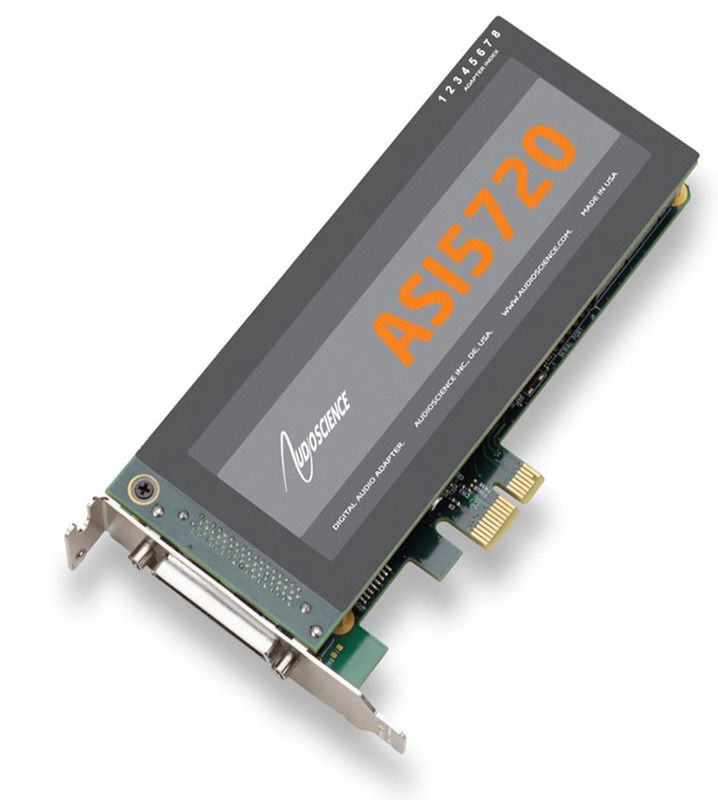 The ASI5720 and ASI5722 are professional Low Profile PCI-Express sound cards designed for use in the installed sound, entertainment and broadcast markets. Providing up to 6 play streams that are mixed to 2 balanced stereo outputs and 4 record streams fed from 2 balanced stereo inputs, the ASI572x series features AudioScience’s unique “anything to anywhere” mixing and routing. The ASI5722 provides both balanced analog and AES/EBU inputs and outputs. 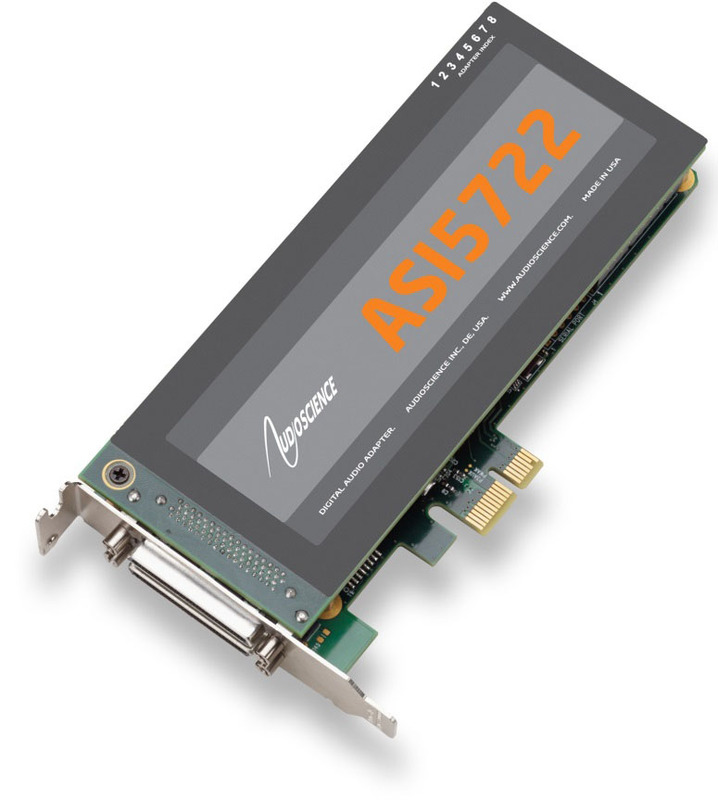 The ASI5720 provides analog inputs and outputs only. The maximum analog input and output level is +24dBu.